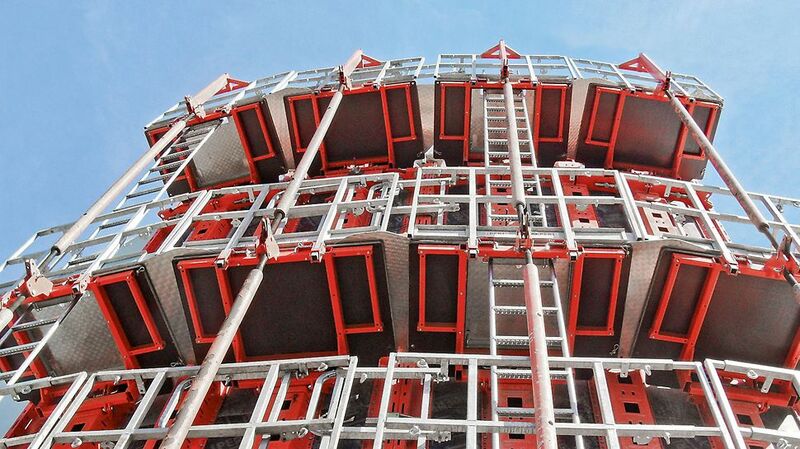 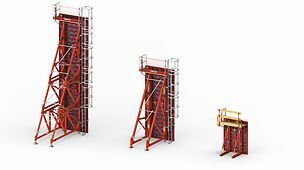 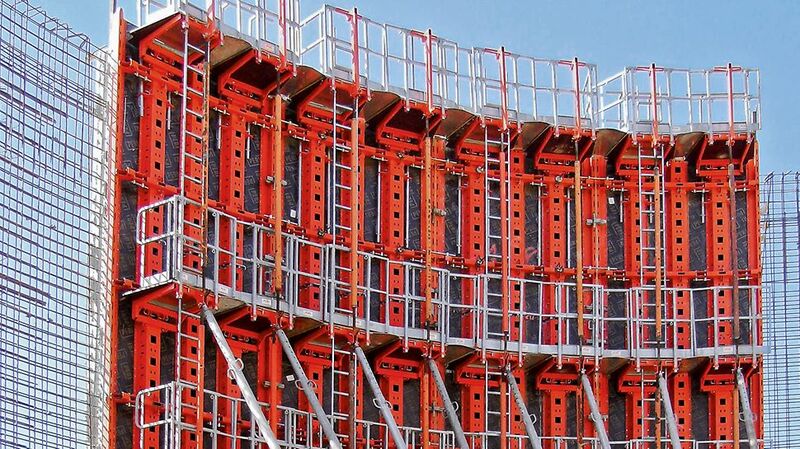 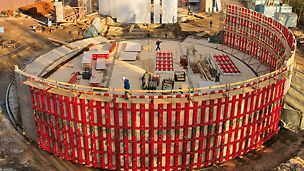 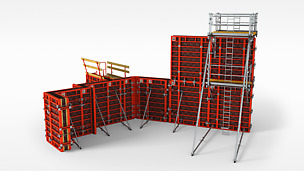 Being fully equipped with platforms, guardrails and access ladders, constructing circular walls with RUNDFLEX Plus is a particularly safe undertaking. 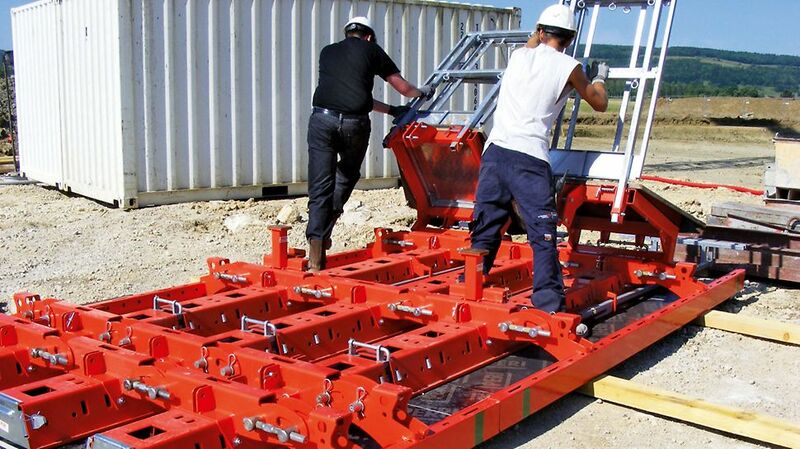 The formlining is screwed on at the rear as far as possible ensuring that very good surface qualities are achieved. 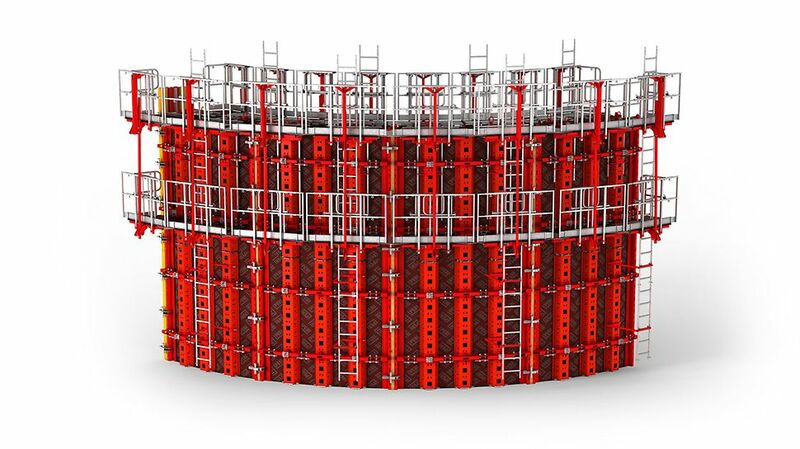 Radii greater than 2.50 m are continuously adjustable with RUNDFLEX Plus which means costly modifications are not necessary.